Complex numbers have two parts – real part and imaginary part. 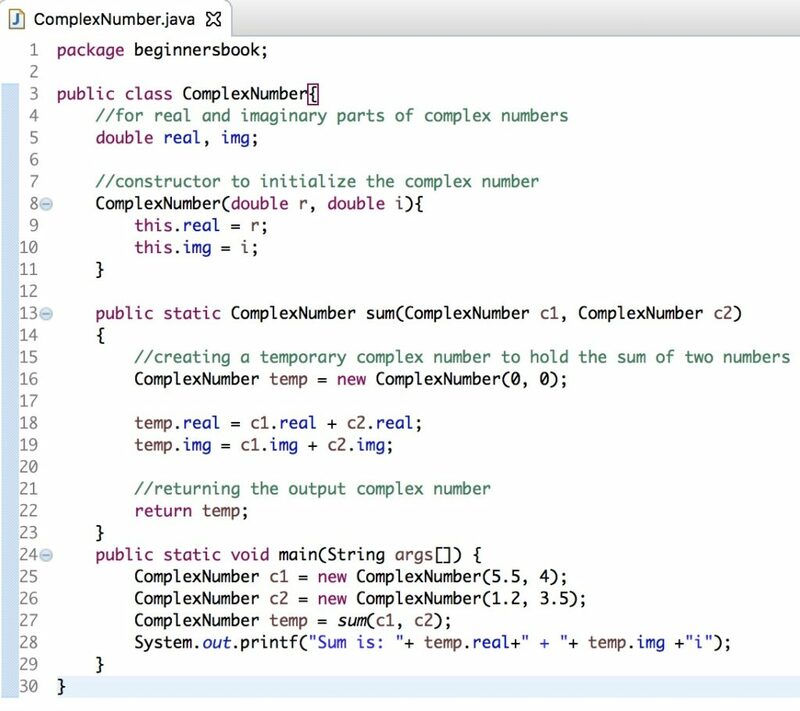 In this tutorial, we will write a Java program to add two complex numbers. When adding complex numbers we add real parts together and imaginary parts together as shown in the following diagram. In this program we have a class ComplexNumber. In this class we have two instance variables real and img to hold the real and imaginary parts of complex numbers. We have declared a method sum() to add the two numbers by adding their real and imaginary parts together. The constructor of this class is used for initializing the complex numbers. For e.g. when we create an instance of this class like this ComplexNumber temp = new ComplexNumber(0, 0);, it actually creates a complex number 0 + 0i.